Film Friday - The Original Tron — GamingWithSwag.com - Dads By Day, Gamers By Night. SUMMER SEASON IS MOVIE SEASON. Whether you are trying to occupy the kids for an afternoon, escaping the heat with some comfy A/C, or simply setting yourself up to be disappointed by the next-would-be blockbuster, the movie theater is a haven in the summertime. And when it’s late, and the sun has set, what better way to end a summer evening than a cold drink and a great flic. Movies were an integral part of the summer season when I was a boy, and they still are, even as a dad with a boy of my own. I love the movies, but I love them even more from May to Labor Day. That’s why this summer at GamingWithSwag, we are going to hit you with Film Fridays and offer thoughts on game-related films and whether or not dads should spend their time watching them. I’ll be honest, the list of recommends is going to be short, but we’ll cover some unexpected areas and offer thoughts on a few films worth watching. If we are going to talk VIDEO GAME Films, we must begin with TRON. TRON is arguably one of the most prophetic concept films ever made, a film that was clearly meant to ride the Star Wars bandwagon of the early 80’s but instead gave the world something far different. This amazing motion picture is not only a fun adventure film for children but an impressive artistic endeavor and a fantastic catalyst for philosophic but also religious discussion. The Plot to TRON is relatively simple. Computer programmer Kevin Flynn tries to hack the Master Control mainframe of the company that stole his in-development gaming program and exploited it for millions. Unbeknownst to him, the Master Control program has become self aware and is evolving at an alarming rate, kidnapping valuable programs and assimilating them into his own data matrix. During an aggressive attempt by Flynn to hack the system and prove his ownership of the work, Master Control digitizes him directly into the computer, where he fights alongside the Security program Tron to defeat Master Control and allow the captive programs to connect once more with their users. Yes. If for no other reason than to be awed by just how prophetic this film managed to be. The relationship of users-to-programs, the fears of AI, the hostile takeovers offered by technology and digital theft. It’s astonishing just how clearly this movie saw the future...of course, it also makes some leaps (including the primary catalyst for the main plot) that are just wonderfully wrong. It’s the type of movie that one can watch and think, “They thought THAT; how absurd.” and yet, also have moments of reflection like, “Wow, this flick is really about something.” Of course, it’s also a fine adventure film for the non-thinking man. I will for sure, when he’s old enough. My guess is that this movie will work best for kids around 7-10; although in the internet age of information and jaded viewership, that window may be shorter—like 6-8. 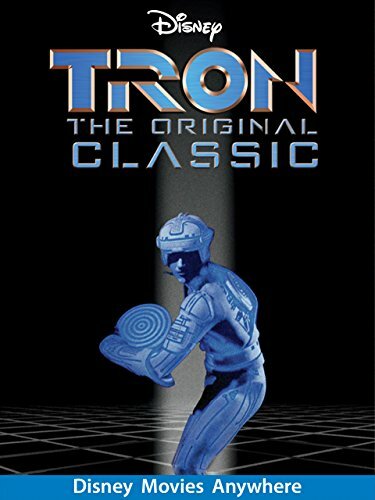 It’s hard to say given that the movie has so many scenes of talking and so much less action than say, Star Wars or a Marvel film, but I think kids tend to be open to new experiences, and they might find Tron engaging on an adventure level on an initial viewing, only to find themselves more intrigued by its deeper concepts at a later time. So, yeah, if the kids like a little weird and trippy adventure, this is an 80’s gem worth sharing. BUT What do you think? Is TRON as good as I think it is? It is worth seeing as a child? I didn’t discover the film until I was an adult, so my perspective may be skewed. So, give us your take.